The term "intersectionality" was coined by an African-American academic, Kimberlé Crenshaw, in 1989 to denote the circumstance of being the target of more than one bias. Crenshaw saw herself as the potential victim of both anti-black racism and misogyny, thereby living at the intersection of the two bigotries. In recent years, the term has gained prominence on many of the nation's campuses to signify something else: the supposed shared, "intersecting," predicaments of racial and ethnic groups -- as well as women and sexual minorities -- victimized by white male racism and its history of imperialism, colonialism, exploitation and slavery. While one can fully acknowledge the depredations of European imperialism and its exploitation of non-European populations, one can also debate the extent of its current impact on non-European populations, women and sexual minorities. Except that one cannot debate it: In much of Western, including American, academia today, such debate is not permitted. Similarly censored from today's campuses is discussion of another, in various respects competing, intersectionality: That of the shared, intersecting, predicaments of today's victims of Islamist aggression, including terrorism. Those victims are mainly people of color -- black Africans, Arabs, Kurds, Pakistanis, Afghans and east Asians -- but also many whites. They are mainly Muslims, but also include Christians, Jews, Yazidis, Druze and people professing no religion. Why should these two intersectionalities, despite their different focuses on perpetrators and victims, be competing? Because allies of the Islamist assault have played a prominent part in promoting the campus version of intersectionality. Consequently, in the campus version, Israel is assigned a role that is the opposite of the one it actually plays in the world, including with regard to the other intersectionality. The movement to try to destroy Israel by strangling it economically, through boycotts and the like, is largely the creation of supporters of the Islamist group Hamas, listed as a Foreign Terrorist Organization by the U.S. Department of State. The goal of the economic assault, often openly acknowledged, is Israel's annihilation. On campuses, the chief promoters of this agenda, members of Students for Justice in Palestine (SJP), follow the lead of off-campus proponents and cast Israel as a European colonial state supposedly planted in the Middle East by the West to subjugate local populations and advance imperial interests in the region. SJP and the other drivers of the economic attack on Israel have sought to broaden their ranks by invoking their brand of intersectionality: Members of all victimized populations, particularly people touched by European colonialism, ought to join together and rally to the Palestinian cause as the world's paradigmatic example of victimization. They ought to work for the ostensibly world-repairing fix of Israel's destruction. 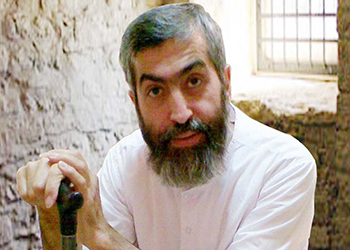 Many others have pointed out obvious absurdities in the composition of this anti-Israel alliance: feminist groups supporting a cause whose chief adherents routinely abuse women and subject them to enforced subservience and widespread physical, all too often murderous, assault; LGBT advocates embracing those who uniformly mete out the most horrific treatment to LGBT individuals in their midst. But the disconnects from reality go further. It was the Palestinians who were, in fact, the beneficiaries of Western colonialism. In the post-World War I break-up of defeated empires and creation of new states on former imperial lands, the League of Nations gave Britain a mandate to oversee re-establishment of a Jewish National Home in the ancestral Jewish homeland, formerly a part of the Ottoman Empire. Yet Britain, pursuing what it saw as its own colonial interests, worked to subvert its Mandate responsibilities to the Jews and instead advance Arab interests. It did so not least because it believed the Arabs would be more accommodating of British colonial policy. Thus, it fostered wide-scale Arab immigration into Mandate territory while repeatedly blocking Jewish access. In the course of doing so, and seeking to prevent Israel's creation, Britain betrayed its commitments to both the League of Nations and, subsequently, the United Nations charter. Few, however, are aware of this historical reality, or the later history of the Israeli-Palestinian conflict. Campuses have become purveyors of indoctrination rather than education. The promoters of the Hamas-linked effort to try to crush Israel economically, using the campus version of intersectionality as an anti-Israel tool, need not fear being confronted by an informed audience. In contrast, the other intersectionality, that of the shared, intersecting predicaments of the victims of Islamist aggression, is not a matter of history but of current affairs, of events that seep into public awareness despite efforts to downplay them. It therefore presents a potentially greater challenge to those on campus seeking to advance an anti-Israel agenda. The head of the Islamist regime in Sudan, Omar Hassan al-Bashir, was first indicted by the International Criminal Court in 2009 on charges of genocide for his nation's mass murder of the Muslim -- but black, not Arab -- population of Sudan's Darfur region. Sudanese crimes against the people of Darfur continue, and al-Bashir remains Sudan's president and has been supported by the Arab League over the years since his initial indictment. Hamas, however, has done more than simply give political support to al-Bashir. Its operatives have trained in Sudan and worked with Sudanese forces, including those that have been engaged in the Darfur genocide. This is the organization whose supporters are leading movers behind the campus intersectionality/boycott campaign and have become the moral arbiters of campus political correctness. Sudan, for more than half a century after gaining its independence, also waged an on-again, off-again genocidal war against the black, predominantly Christian and animist, peoples of southern Sudan. The Khartoum regime killed some two million of them before southern Sudan became a separate country in 2011. Through the last decades of this genocidal war, Hamas was again there supporting the Sudanese government. Perhaps "Black Lives Matter," which has joined the Hamas-inspired anti-Israel/intersectionality bandwagon, ought to enlarge its name to "Black Lives Matter, Except When Snuffed Out by Islamists." Israel, in contrast, supported the southern Sudanese during the years of their struggle to stave off the Islamist onslaught from Khartoum and has continued to help them as they address the difficult challenges facing their new nation. As Islamist threats in sub-Saharan Africa have increased, other black African states, some with long connections to Israel, some with newer relations, have turned to Israel for help in their fight against Islamist terror. In recent years, these include, among east African nations, Ethiopia, Kenya, Uganda, Rwanda, and Tanzania. In 2015, a government spokesman in Nigeria, by far the most populous country in Africa, stated, "Israel has been a crucial and loyal ally in our fight against Boko Haram [the Islamist group that has murdered thousands of Nigerian Christians]. It is a sad reality that Israel has a great deal of experience confronting terrorism." Of course, much of that terror confronted by Israel has been perpetrated by Hamas. The United States experienced its own encounter with massive Islamist terrorism on September 11, 2001. The majority of victims were white Christians, but also among the murdered were blacks, Hispanics and Asians, Jews, Muslims, Hindus and followers of other faiths. Shortly after 9/11, American officials, including representatives of local, state and federal law enforcement bodies, began reaching out to Israel in order -- like leaders in Nigeria and the nations of east Africa mentioned above -- to learn from Israel's painfully acquired experience in dealing with terror. This is another facet of the intersectionality that connects victims of Islamism. To this day, groups of law enforcement officers, other American officials and emergency medical personnel travel to Israel or attend conferences in the United States addressed by Israeli anti-terror and emergency medicine experts. They do so to sharpen their own skills as they seek to anticipate and prevent terror attacks, to respond effectively when attacks occur, and to deal not only with policing challenges but also the emergency medical and other challenges presented by terrorist assaults. As those in America who have participated in such programs attest, they have proven extremely valuable in actual responses to terror threats and terror events. However, Students for Justice in Palestine, and other Hamas-linked groups and defenders of Islamism, particularly on campuses but beyond campuses as well -- in their efforts to defame and isolate Israel as a step in pursuit of the Jewish state's annihilation -- have sought to end such contacts and exchanges. As always, they turn truth on its head by asserting that Israeli police and military forces wantonly target innocent Palestinians and, invoking intersectionality, they declare that the aim and effect of cooperation between Israeli and American law enforcement bodies is not to help in the struggle against terrorism but to train American police to better target American minorities, particularly young black men. SJP's camp followers in the intersectionality scam have embraced this line and also campaigned for an end to cooperation between Israeli and American anti-terror groups. Among those doing so is, again, Black Lives Matter. Of those killed at the Twin Towers on 9/11, 215 were black (136 men, 79 women). Additional African Americans were killed on the planes commandeered by the terrorists and at the Pentagon and were among the heroic first-responders who subsequently lost their lives due to medical problems contracted at the World Trade Center site on that day and in the days that followed. Other African Americans were murdered in subsequent Islamist-inspired terrorist attacks in California and Florida and elsewhere, and are as likely to be victims of future such terror attacks as anyone else. But work to prevent, and minimize the impact, of such assaults apparently counts for no more to Black Lives Matter, when weighed against promoting an anti-Israel agenda, than it does to SJP and other Hamas-linked groups. Similarly campaigning for an end to Israeli and American cooperation in fighting terrorism has been, shamefully, the organization Jewish Voice for Peace (JVP), which advocates the dissolution of Israel. Illustrative is the role played by members of JVP in leading a campaign in Durham, North Carolina, that resulted in the city council passing a resolution prohibiting any participation of the city's police force in joint programs with Israeli law enforcement bodies. The Islamist assault is not going away. It will continue to claim its victims in large numbers across the globe. At the same time, the intersectionality of its victims, the shared, intersecting predicaments of its targeted groups, will continue to be reflected in nations working with Israel to learn from the Jewish state's painfully acquired expertise in dealing with terrorism. 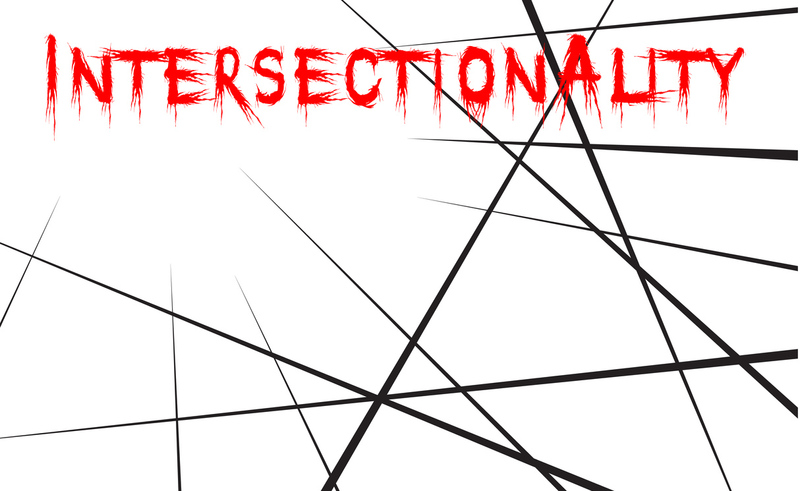 The "intersectionality" promoted on campuses and beyond by Hamas/SJP and their fellow travelers seeks, in pursuit of its anti-Israel agenda, to distract attention from the Islamist onslaught, its ongoing savaging of populations in Africa, Asia and America, and the alliances with Israel formed by its victims. In doing so, the intersectionality of the campuses has become, in effect, an enabler and abettor of Islamism's depredations, including mass murder. Kenneth Levin is a psychiatrist and historian and author of The Oslo Syndrome: Delusions of a People Under Siege.